Java language is the best application development language , It is the object-oriented programming language that is used to create efficient quality applications for both the computers and mobile phones and it was introduced in 1995 by James Gosling , It is multithreaded that means the capability for the program to perform several tasks within the program . Java has been developed after including the concepts of various languages like C, C++, etc , It is the versatile and platform independent language , It is used on any platform including Windows , Android , iOS , Linux , etc , Apart from this , Android , the product of techno giant Google Inc , completely relies on Java application development for apps development . 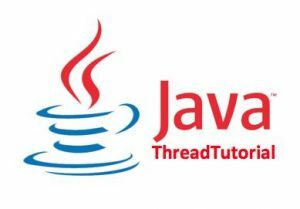 Java language provides a very easy interface for the users and the developers , It is the simplest language when compared to the other programming languages , It has eliminated the use of pointers and replaced the complexity of multiple inheritances in C++ with a simple structure which is called the interface . Java language is simple , It was designed to be easy to use , So , It is easy to write , compile , debug and learn than the other programming languages , Java is much simpler than C++ because Java uses the automatic memory allocation and garbage collection where else C++ requires the programmer to allocate the memory and to collect the garbage . Java language is platform independent , It offers the facility to Write Once and Run Anywhere , The applications developed by using this language can be run on any hardware and software platform , Java applications are supported by every Java compatible browser , Java has the ability to move easily from one computer system to another. Java language has the feature of Stack allocation system , It can help the data to be stored & It can be restored easily , Stack management is actually the arrangement process of objects in LIFO ( Last In First Out ) management system , The management system helps store and restore any object , Unlike other programming languages where the developer needs to allocate the data and collect garbage . Java language has the facility of automatic garbage collection and memory allocation , Java is platform-independent at both the source and binary levels , It has the ability to run the same program on many different systems that is crucial to World Wide Web software . Distributive computing is the platform where two or more computers can work together on the network , Java language has a great networking capability , Networking on Java is too easy that writing the networking program feels like sending and receiving between the files . Java language is object-oriented because programming in Java is centered on creating the objects , manipulating the objects and making the objects work together , So , Java helps you to create modular programs and reusable code . Java language is Interpreted , The interpreter is needed to run Java programs , The programs are compiled into Java Virtual Machine code called bytecode , The bytecode is machine independent & It can run on any machine which has the Java interpreter . With Java , the program need to be compiled once only and the bytecode generated by the Java compiler can run on any platform , Java language is very Secure , Java is one of the first programming languages that the security is part of its design . Java langauge is Robust which means reliable and no programming language can really assure reliability , It puts a lot of emphasis on early checking for the possible errors because Java compilers can detect many problems which would first show up during the execution time in the other languages . Java language is comparatively slower & it takes more memory space than the other native programming languages like C and C++, It is actually predominantly a single paradigm language but in the newer versions of Java like Java 5.0 , the procedural paradigm is made batter by adding some static imports in it . Java language doesn’t have the enumeration types but they can be stimulated by using a series of constant instead of them , Default look and feel of GUI applications written in Java using the Swing toolkit is very different from the native applications . There are limited options for latency-critical tuning , If you have to spare every millisecond , Java language is not the best choice , It is not very handy for one-off throwaway scripts , Desktop GUI packages take effort to make application look native , especially on Mac .